WASHINGTON – U.S. Secret Service agents put their stories into words, saying holidays, birthdays and life events were missed because of the 90-hour weeks spent protecting candidates during the presidential campaigns in 2016. It was a common thread among many of the letters House Oversight Committee Chairman Rep. Jason Chaffetz (R-Utah.) read during Tuesday’s hearing about dedicated agents who he said were never paid overtime during the campaign season. “In total I’ve been out of the district and away from home for close to eight months this year,” wrote one agent, whose name was not disclosed. “During this campaign by the end of the year I will have exceeded my pay-cap by close to $25,000.” I’ve been on almost every campaign rotation and back-to-back travel assignments…this has been ridiculous. It’s far worse than the 2012 campaign. Thankfully I’m not married but if I was I’d probably be divorced by now,” another agent wrote. Chaffetz said most of the 1,077 agents were never paid overtime. He blamed the problem on the failure to recruit and maintain the requisite number of agents needed to provide protection. 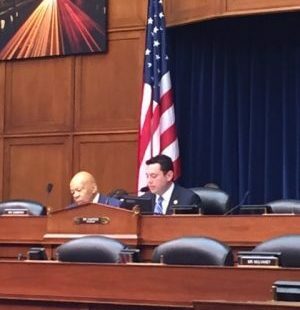 Chaffetz said retention rates had improved since the beginning of 2016, but the agency still needs about 500 to 1,000 more agents. Chafftetz slammed Secret Service officials for failing to maintain adequate records documenting overtime work. “One of the things that we see is you can’t even tell us how many hours they worked and how much they are due in overtime because last time we talked you didn’t even have a system to track this sort of thing,” Chaffetz said. Chaffetz said the committee is considering legislation to address back pay for overtime work. Chaffetz also said that the Secret Service has on occasion not responded to subpoenas seeking documents related to allegations of impropriety within the agency. Agency officials told the committee that they are working hard to address longstanding issues related to structural problems and transparency. “Director Clancy has rebuilt the Secret Service’s command structure to implement policies to increase transparency in the communication between senior leaders, supervisors and the rank-and-file across our agency,” said Office of Strategic Planning and Policy Chief Strategy Officer Thomas Dougherty. “The state of IT within the Secret Service is taken very seriously by the Director, his staff, and the entire Secret Service,” said Chief Information Officer Kevin Nally.